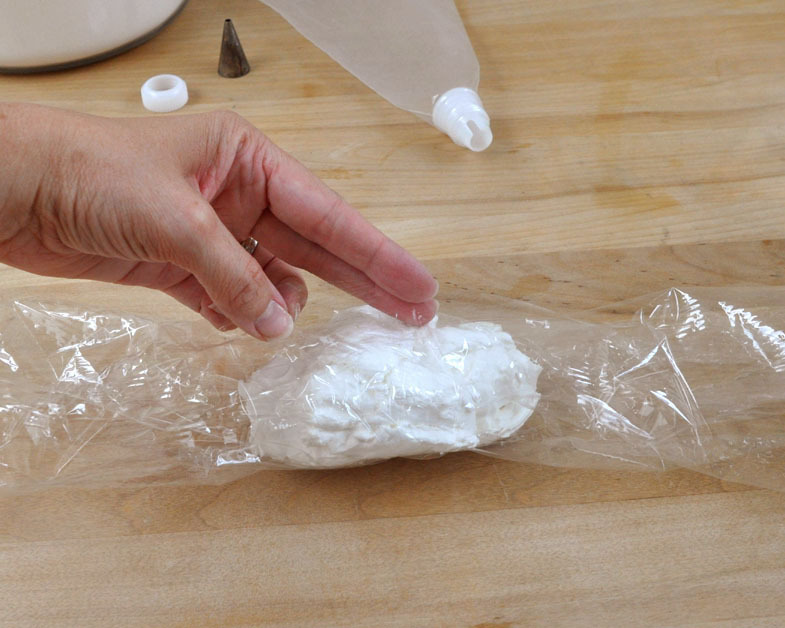 Revolutionize your icing bag clean-up with icing bag "bullets." I only recently started using these... after more than a decade of decorating, and I am In Love! Lay a sheet of plastic wrap about the size of a legal-size piece of paper on your countertop. 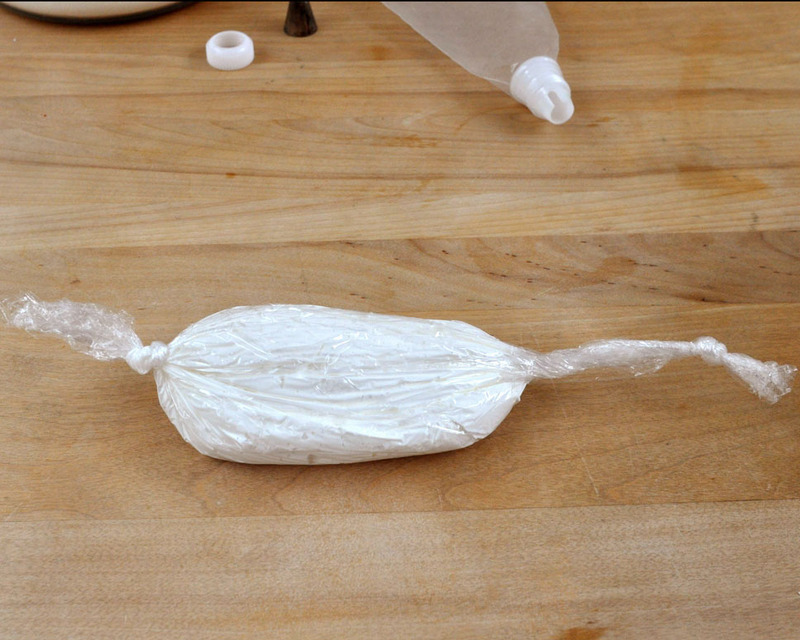 Place a spatula or two of icing on the sheet. I try to make it more "log" shaped because, in the end, that's what you want, so it's easier to start with the right shape. 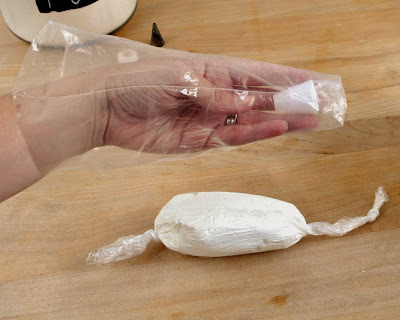 Wrap the plastic around the icing. Pull the top (of the more narrow side) down, and wrap the bottom up. Then I tie each end. 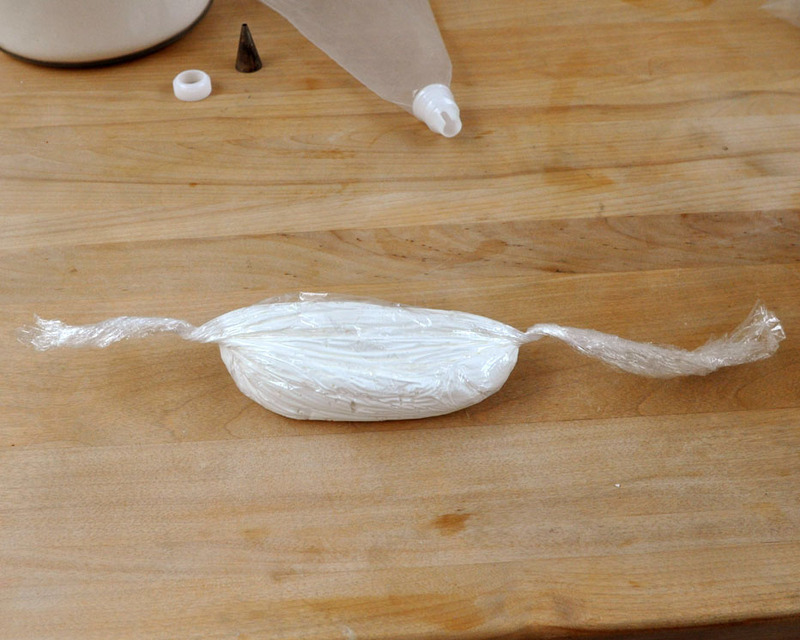 I tie one end close to the icing. This will be the "back" end that remains in the bag. The other end, I tie closer to the end of the plastic wrap. This will be fed through the coupler. I will often load up my icing bullets ahead of time, and put these in the refrigerator just like this in a large baggie until I need to use them. 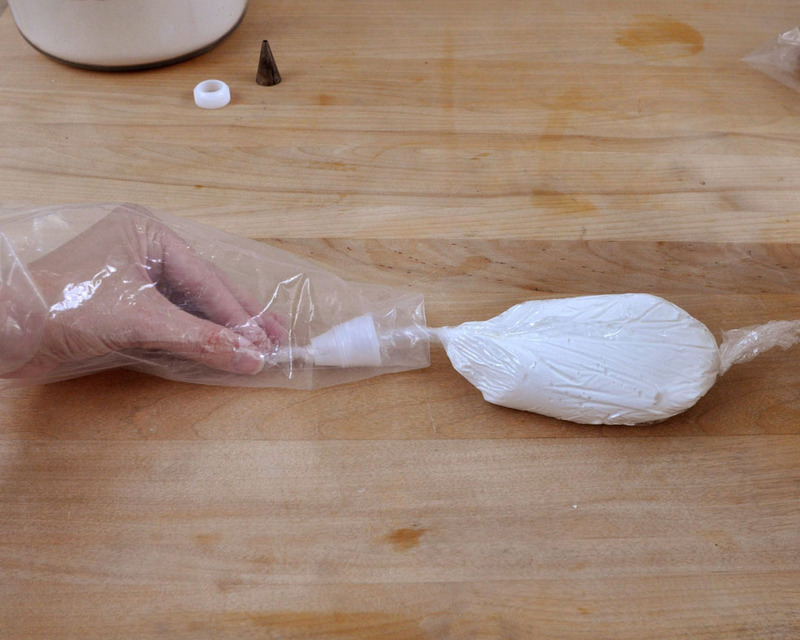 To put the icing bullet in the bag, insert the coupler into the bag. Then turn the bag inside out to as close as the coupler as possible. 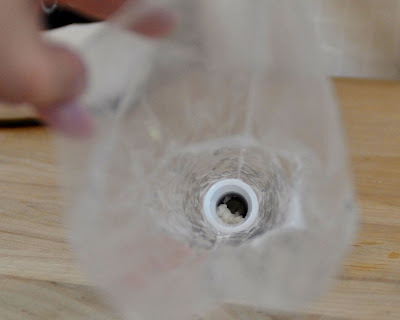 Thread the long end of the plastic wrap through the coupler. 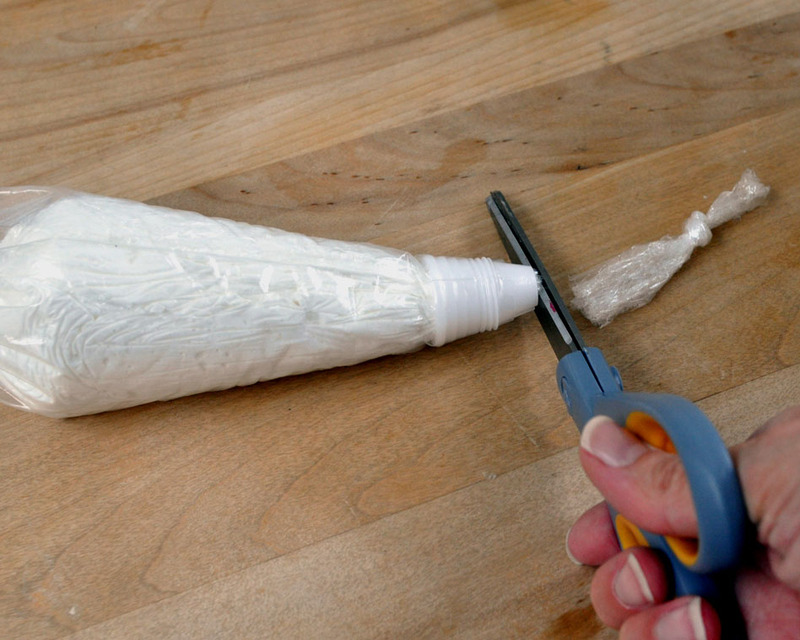 The plastic wrapped icing bullet sticks to the inside of the disposable bags, that's why I turn the bag inside out as much as possible. 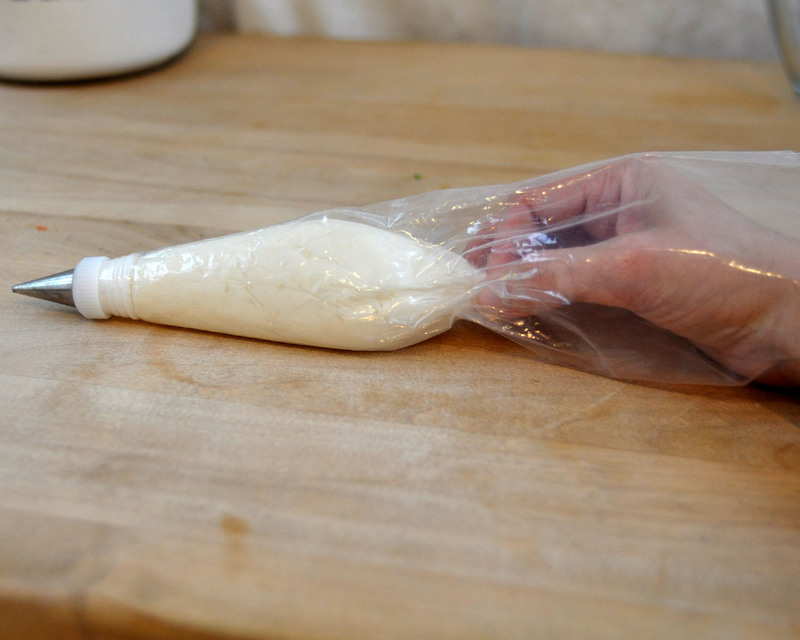 When you're ready to use the bag, cut the plastic wrap as close to the coupler as possible. 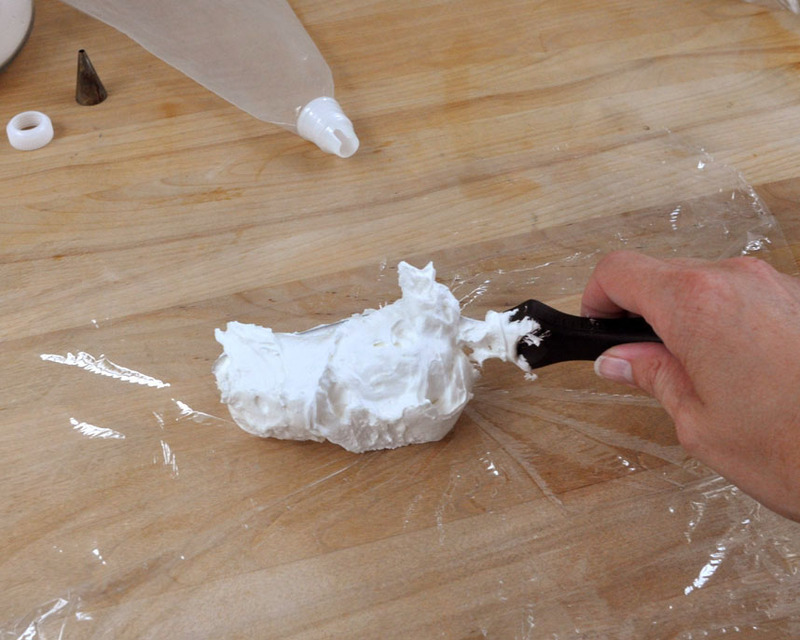 Put the icing tip on, screw on the coupler ring, and you're ready to decorate! 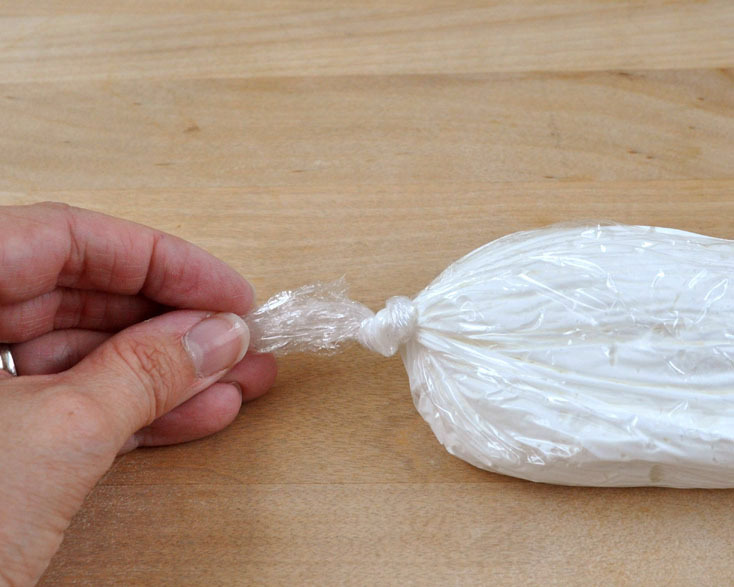 To Remove the Icing Bag Bullet, and "clean up:"
To remove the icing bullet from the bag, grab on to that back knot, and pull. You can toss the icing bullet out, or if there's lots of icing left, like in this one, I'll squeeze it into a new bullet to save it for later. Now, check this out! See that speck of icing?? That little bit down there in the coupler?? That's ALL you have to clean! That's it! See that bag? See how clean it is?? Awesome! In all fairness, yes, occasionally the icing bullets blow out and do messy the bag, but honestly, this only happens to me when I'm teaching a kids' workshop, and they don't use the decorating bags properly. But even so, that mess is even better-contained than a regular blow-out or icing coming out the back of the bag. 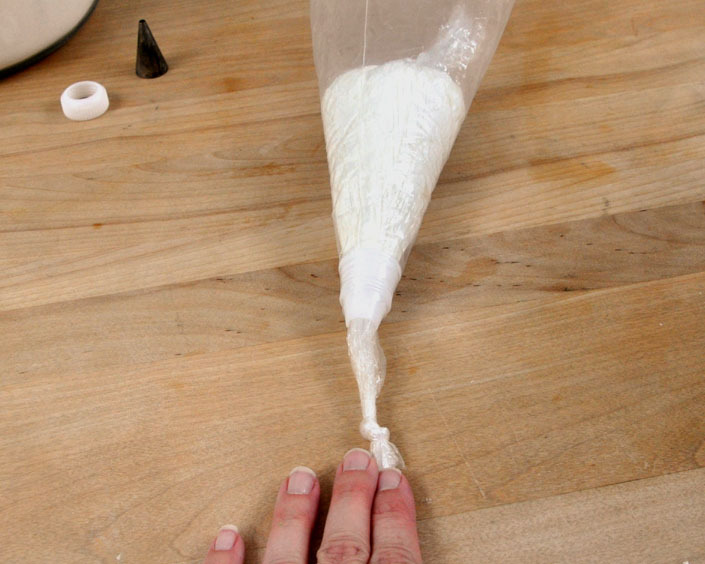 I hope you love icing bag bullets as much as I do. Because I really, really do! Genius! Without even trying it, YES! This is amazing Thank you so much for posting!!! This trick has been on the internet since 2009, it looks disingenuous of you to post it as your own idea without linking to the original! I actually read about in 2006.
Who cares... it is still good info.to share. Now now children ... time for a run around the back yard; come back when you're nice and calm. I don't recall Beki actually saying that this was her original idea; few ideas are really original. It's the discovery and the sharing that feeds us. Thank you very much for sharing, Beki; this is new to me and I'm dying to give it a go. This is awesome! I can't wait to try this as I hate cleaning icing bags.